The Sons of Schmidt S3E11: Sparty? No! Much like the missing Ohio State rushing attack, the Sons of Schmidt returns to The Ozone Radio Network on Hayes & Cannon. To start Sons of Schmidt Thursday, the Sons celebrate someone’s birthday. And then they dig super deep into the College Football Playoff rankings. Or, they really don’t. It is still early, and nothing is changing unless Ohio State wins out. During the first segment, the Sons look back at the Nebraska game. Where they happy with the close win? No. But did the Buckeyes do enough to give them hope that major issues have been corrected? The guys also take a couple listener questions in the #AskSoS portion of the show. For segment two, Michigan State positions itself in the cross-hairs. Sparty has been a consistent thorn in Ohio State’s side recently. How do the Bucks match-up this year? Can Ohio State continue to build on the momentum the rushing attack built against Nebraska? MSU does come into the game with the #1 rushing defense in the country. But they also struggle against the pass. You may not know this, but Ohio State has a pretty good quarterback, and they should be able to take advantage of this. To end the show, Brandon and Mike give their Son of a Schmidt and make this week’s Schmidt Picks! Let us know what you think in the comments below. Go Bucks! OH! 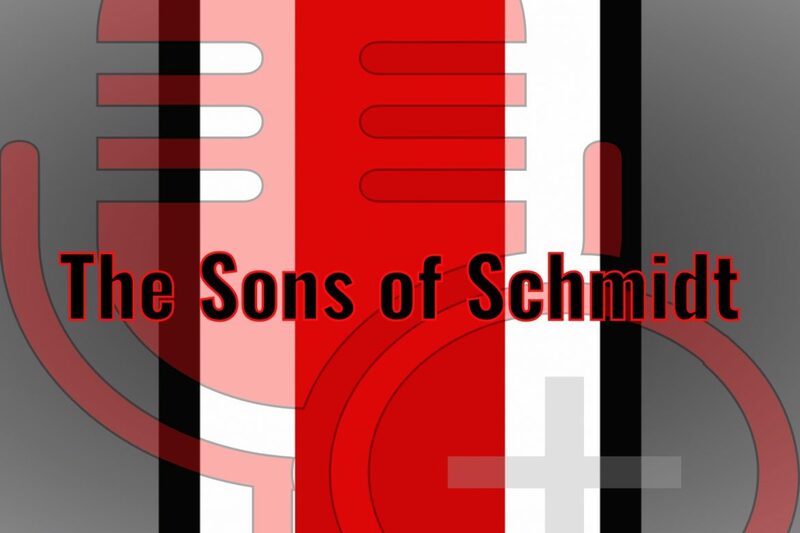 The Sons of Schmidt is a weekly podcast featuring Mike Meals and Brandon Zimmerman, from Hayes & Cannon. You can follow the show and interact with the Sons on Facebook and Twitter, or email the show at SonsOfSchmidt@gmail.com. You can find The Sons of Schmidt everwhere! We are on iTunes, Google, Spreaker, TuneIn, Spotify, and IHeartRadio as well. Please rate it and review it so that more people can see us on your favorite app! You can also subscribe to The-Ozone Radio Network iTunes and have an Ohio State podcast delivered to you every time they drop. You can even find us on YouTube! You can also always visit our Podcasts page here, which is tucked inside the Hayes & Cannon tab in the menu at the top of this page.